How do the worlds best athletes combat ageing, and what you can do to keep up? 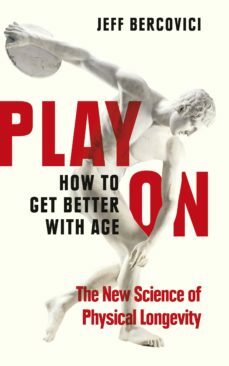 "Encouraging reading for jocks who are late to the game but committed to the win all the same." Kirkus Review "An energetic romp" that "smartly separates science from quackery." Publishers WeeklySports are about challenging our physical limits. But the greatest limit of all remains undefeated: age. Not, though, for the likes of Roger Federer, Tom Brady and Jo Pavey. What are they doing that you can too?Play On teaches us that its not aging that causes a decline in fitness; rather, a decline in fitness causes aging.Full of cutting-edge science, technology and practical tips, Play On empowers you to reverse the ageing process, and stay younger for longer.